By Judy Karonika, Program Manager, Judy’s Mission Ovarian Cancer Foundation. With our primary mission being to increase awareness of the signs, symptoms and methods of detection of ovarian cancer, Judy’s Mission is very proud of our signature program Survivors Teaching Students: Saving Women’s Lives ® (STS). 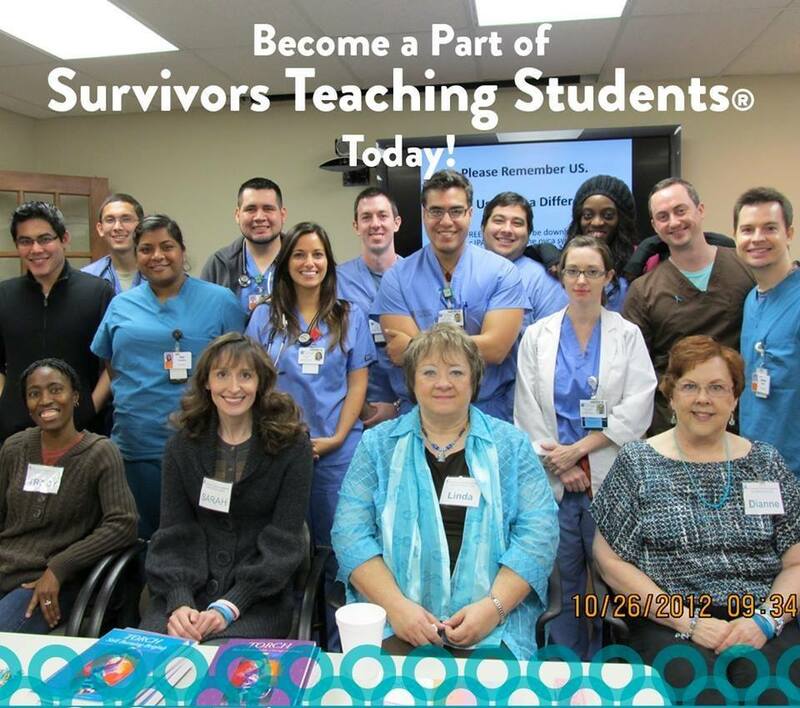 Created and administered by Ovarian Cancer Research Alliance (OCRA), Judy’s Mission partners by facilitating the one hour STS classroom course which allows ovarian cancer survivors to share their experiences with medical and nursing students in the greater Houston area. Survivors discuss their symptoms, doctors’ visits, diagnosis, misdiagnosis and eventual detection, treatment and current status. Now in our fifth year of presenting this program, we are striving to reach every future health professional and send them into their medical practices with the knowledge and ability to recognize a possible ovarian cancer case. I started facilitating STS classes seven months ago and I am amazed at how grateful and receptive the students are to learn that there is no screening for ovarian cancer and that the symptoms are very common and very frequently attributed to less serious, more easily treated ailments. These students leave the class prepared to recognize a patient who should be tested for ovarian cancer. They appreciate the survivors’ perspective and feel that the lesson of a “live case study” is a great enhancement to their curriculum. In the first four years of the program, Judy’s Mission impacted approximately 300 students per year with 15-17 presentations to 9 campuses for a total of 1,200 students. For the 2018- 2019 calendar year we are on target to double the number of students served each year. This year we have increased our presence to include 14 school campuses with 11 classes scheduled in spring and 11 classes schedule in the fall. Several schools are scheduled for this summer as well. This will mean more practicing doctors and nurses who are able to recognize an ovarian cancer patient at an earlier stage of the disease. Several survivors, many students and I have said that if this class saves one life, it is worth it. But, our hope, at Judy’s Mission, is that, as more future healthcare practitioners know the STS course material, the statistics for early detection and >5yr survival will significantly improve. If you know of a medical, nursing, PA, nurse practitioner or other program in which graduates will be working with patients, please comment on this post or contact Judy’s Mission, so we can be sure all medical professionals are armed with this important, life-saving information. And, if you are an ovarian cancer survivor or know a survivor who wants to make this significant difference by sharing her story, comment or contact us also.